​​New York Times Critic's Pick! With genomic breakthroughs happening at breakneck speed, we can learn more about what our futures may hold than ever before. But how much should we know? And who gets to decide? 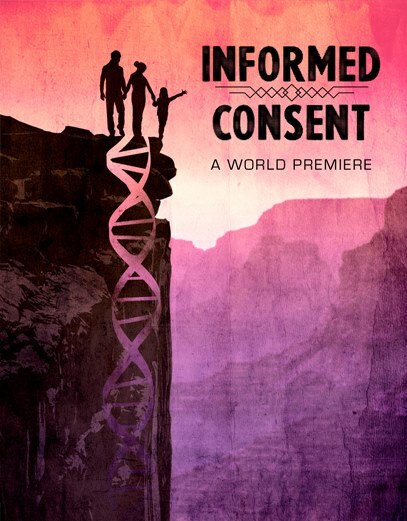 Inspired by a recent court case between a Native American tribe and an Arizona University, Informed Consent takes us into the personal and national debate about science v. belief, and whether our DNA is our destiny. ONE/JILLIAN: Genetic anthropologist in her 30's. The smartest person in the room. Desperate to make the most of the time she has tp save her daughter. Full of life and hunger. TWO/GRAHAM: Jillian's husband. Children's book author. Loving and patient. A children's book author. A romantic. An optimist. ﻿"It's the kind of work live theater needs more of – urgent, challenging and of the moment, grappling with concepts that scare us and intrigue us." "Engrossing new play brimming with big ideas and cutting-edge science… Laufer takes the ripped-from-the-headlines facts of the conflict and creates something entirely new, like cells dividing and replicating." 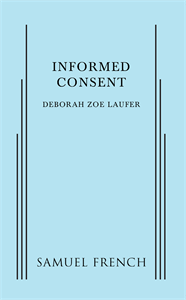 "The play is both cerebral and theatrical, making its case to head and heart"
"Brilliant, beautiful ‘Informed Consent’ explores genetics drama"
"Cleveland Play House’s production of Informed Consent is one to ponder"
" Your Cells are Ringing: Genetic Research Anchors the Drama in Informed Consent"